I do have to notice I've done a few from this game already - then again, it's my favorite platformer. I think there's probably a good number of people out there who can agree that SMB3 was an amazing insight into just how deep and enjoyable a game can be by combining a simple concept and gameplay with fantastic level design. Hearing some of SMB3's music remixed in the soundtrack of Super Mario Galaxy made me very, very happy. i just found this blog and i was wonder how much you would charge to make one of these for someone. 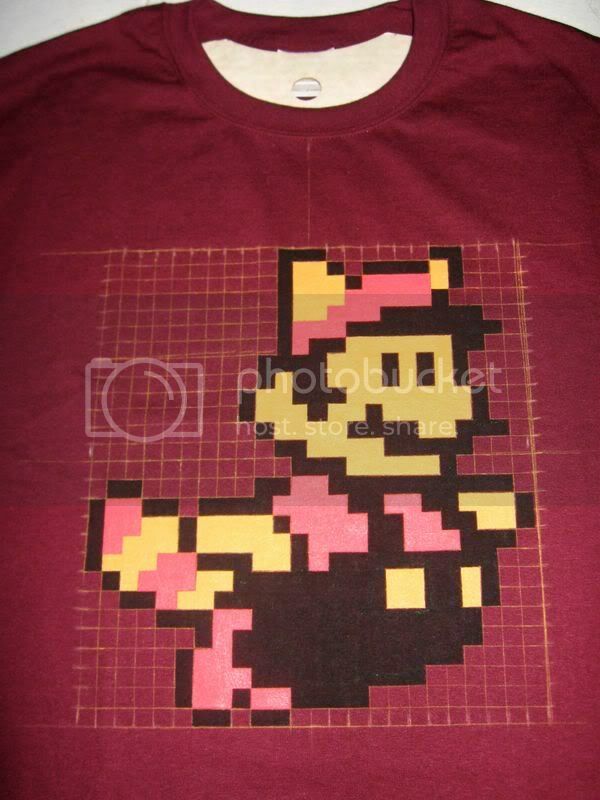 At the moment, I don't sell these shirts because the sprites I use are copyrighted. They're given away as presents to friends and family.